We were here for a dog show and wanted a park convenient to Purina Farms. 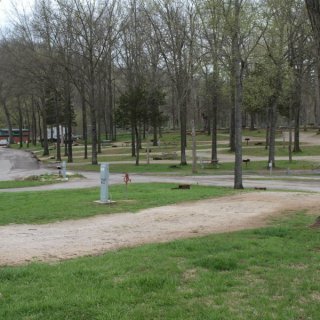 This campground is about 8 miles away and is almost as close as you can get without staying at Purina. There are lots of trees so satellite reception isn't guaranteed. There are sites with different levels of service at different rates. We had water and 50 amp electric but no sewer for $40-47/night (more for weekends). Several sites, including ours, require extra blocking to level the trailer on the slope. Main roads are paved (with potholes) and sites are mostly gravel. Very friendly staff. We'll stay here again for next year's dog show. 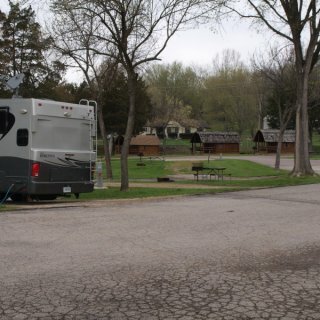 We camped at St. Louis West / Historic Route 66 KOA in a Travel Trailer. O'Dell's Irish Pub in Eureka has good food. There is a Walmart nearby as well as a Six Flags amusement park. 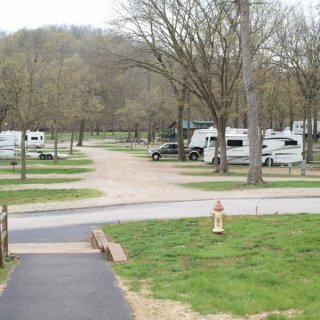 This is not a campground in the traditional sense, but rather it is a city park that has four parking spaces with services for RV’s. Two of these spaces have concrete pads and two have just grass parking. There are also sites for tent camping, but I couldn’t tell exactly where these are. This campground is no longer free, but it’s close. The charge is now (May 2014) an almost nominal $10 per night. You must register and pay at the police department, which is less than a mile from the park. The address of the PD is 127 Court Street, but directions are not given. The phone number is also not given, but it is (269) 692-6111. I advise that you park your RV first and then drive or walk to the PD; parking at the police station with a big rig would be difficult. If you visit the park’s web site, be aware that it covers all of Otsego, MI, parks, not just Brookside Park. You may camp here for only three days in a row, and may do this only two times per calendar year. I assume that these restrictions are to prevent full-time camping, but three days is still not very long. If no one is waiting for a space, or if there are two or three open spaces you may be allowed to stay longer than the three day maximum, but only under some circumstances. You must ask at the police department for permission. I didn’t see anything that indicates that camping is limited to certain months of the year. I am pretty sure it’s open year-round. I was told that they do not take reservations, but you can double check by calling ahead. Alcohol is not allowed in the park, but I doubt that they will search your RV. I wouldn’t drink any alcohol outside of the coach. (This is merely a suggestion and does NOT constitute legal advice.) The park is directly off of State Highway 89, which is also Allegan Street, but is set down a slight hill so that when you are in the park you don’t even know there’s a street nearby. There is almost no traffic on the park’s single interior road. The park closes at 10:00 p.m., but the road is not physically blocked so you can still get in and out. So can everyone else, of course. The police receptionist told me that the police cruise through the park once or twice per night. One just went by at 9:55 p.m. checking the area with a searchlight. It’s nice to know they are here. The park is not listed by name on Google maps and could be difficult to find. If you search for it by name you will find a location that’s miles away in Indiana. The GPS coordinates for the campsites are: N42o 27' 19", W085o 41' 02". If you copy the following coordinate string into a Google Maps search window (https://maps.google.com/) the green arrow will point directly to the campsites. The satellite view shows the park well. N 42 27' 19 W 085 41' 02 The park has 30 amp and 20 amp electrical service to each of the four sites and one freeze-proof water spigot for each two sites. If you are sharing a water faucet, one of you must have a two-way splitter. If not, there’s a Wal-mart just down the road. 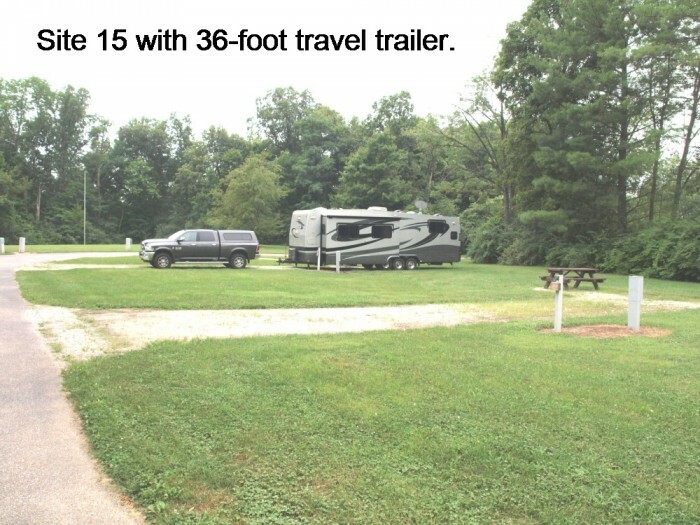 Each RV site has its own picnic table, and three sites have a small concrete pad for them. Each site has a steel grill mounted on a post. Campfires are not allowed. Two of the RV sites have a 10' x 30' concrete pad. The other two have only grass, but the soil appears solid, even after several days of rain. There are enough trees to make you feel like you’re in a park, but only one that will block satellite reception from one of the RV sites. 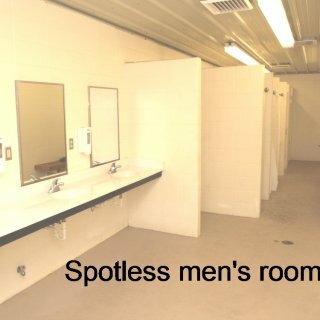 There are no real restroom facilities, although while we were here there were one or two porta-potties in the park. There is no dump station for either black or gray water. There is no Internet service of any kind, but cell phone reception is good if you use that for your Internet. Dogs are allowed only on leash and only in the vicinity of your RV site. They are not allowed in the rest of the park. It should go without saying that you should clean up after your dog, but I’ll say it anyway because there’s a $20 fine if you are caught failing to do so. 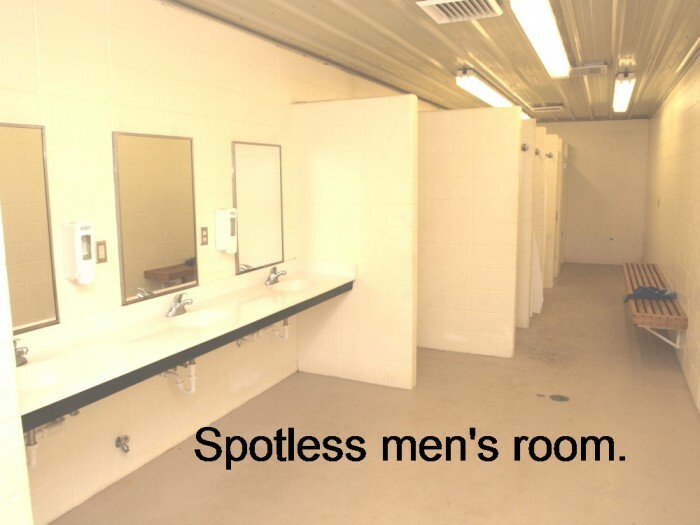 I say this also because I didn’t appreciate having to clean up after the previous camper’s dog. One attraction you shouldn’t miss if you are in this area is the Gilmore Car Museum, which is less than 20 miles away in Hickory Corners, MI. My wife and I couldn’t see it all in the three and a half hours we had. See: www.gilmorecarmuseum.org. 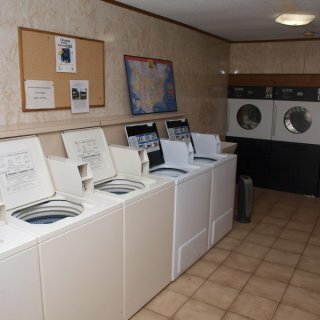 This park is a very nice place to stay for a very reasonable price as long as you are okay with the minimal services provided. I highly recommend it if you want to see this part of Michigan. We camped at Brookside Park in a Travel Trailer. This isn’t a fancy campground with lots of activities (that you pay for), but it suits us. We appreciated the quiet, rustic atmosphere. We inadvertently arrived for a weekend when Hannibal was having a “Folk Festival” downtown. Even with that, we were still able to reserve a space for our large travel trailer only a few days in advance. Before the festival the campground was far from full in mid-October. During the festival there were still a handful of spaces available. The hostess was very helpful and friendly. The roads in the campground are asphalt, but have seen better days. 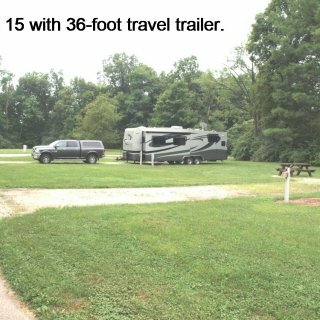 They are plenty wide enough to get virtually anywhere in the campground, even with a big trailer. Our TT is 36-feet long. The speed limit is 5 mph. Ten mph would be more reasonable; my truck doesn’t like towing at idle. There are plenty of sites that are easy to back into and also big enough for large fifth-wheels. 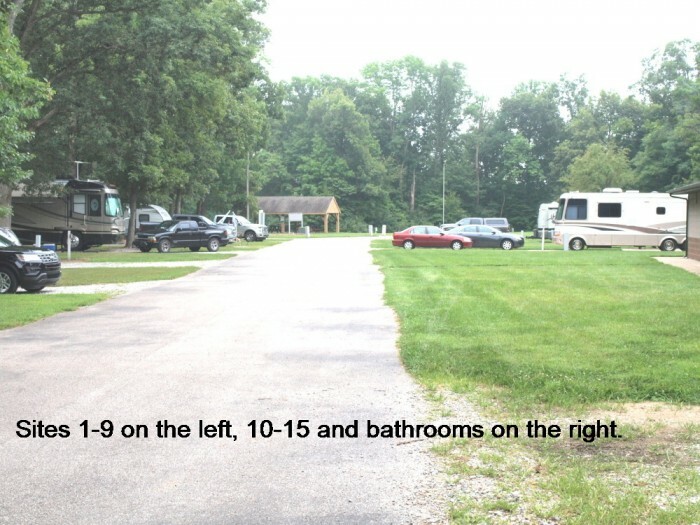 The campground also has some pull-through sites. You don’t feel crowded by your neighbor. There are enough trees to provide shade, but not so many that it’s difficult to maneuver your rig around them. The shade trees do sometimes interfere with satellite reception, although our roof-mounted antenna got a good signal at our site. Our neighbor had to reposition his portable dish several times before he got a good line-of-sight to a satellite. The provided wireless Internet service is very slow, enough that sometimes it just isn’t useable. We have our own Wi-Fi unit that uses Verizon cell phone technology. We could get only a single bar of signal strength with that. Our Verizon cell phones also showed only one bar - useable, but barely. 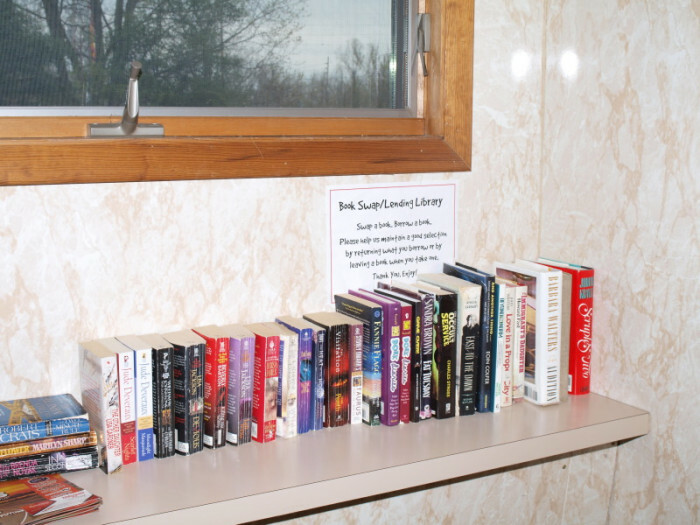 The upside to the location is that it is quiet, in spite of being only 1.5 miles to downtown old Hannibal. That’s walking distance if you are fit. If not, there is plenty of parking downtown. 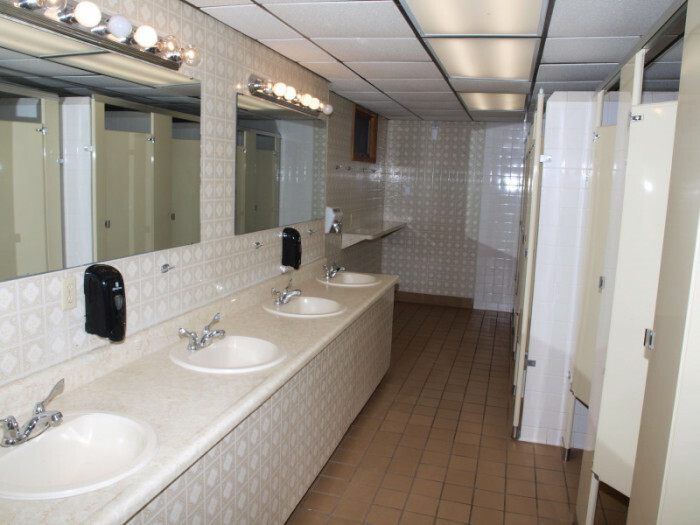 I appreciated the full-service at the sites – 50/30/20 amp electrical receptacles, plus water and sewer. Our site’s sewer inlet was towards the front of the site which made it unusable while we were parked, but we easily dumped our tanks as we pulled out. If it matters to you, generators are not allowed. Given the excellent electrical service, you shouldn’t need one. 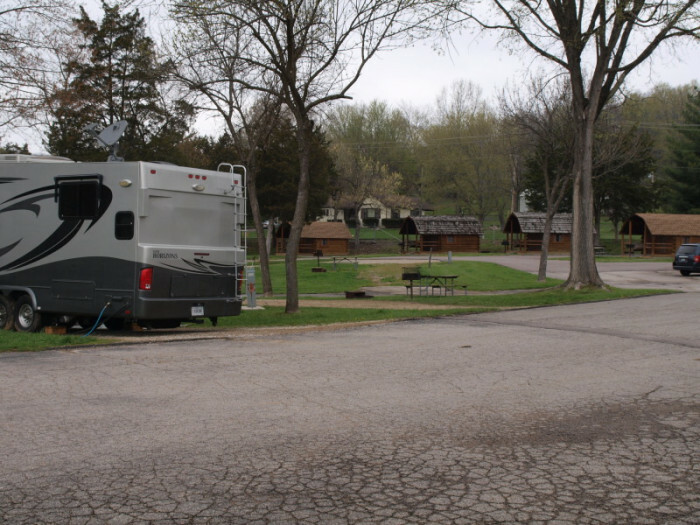 This will definitely be our go-to campground if we find ourselves in Hannibal again, and, while it’s not right off a major highway, it is easy to get to and would be good for an overnight stop if you find yourself there in the evening. We camped at Mark Twain Cave Campground in a Travel Trailer. 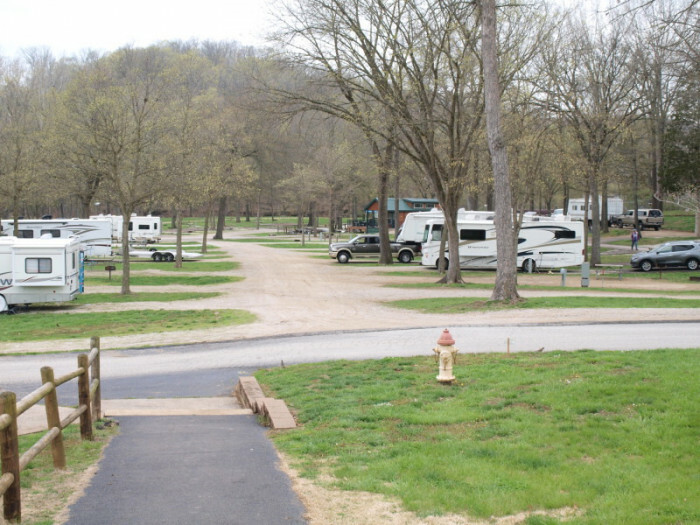 Woodlawn Campground is a small, Mom and Pop, no-frills campground. They welcome children, but there are no special provisions or playgrounds for them. No swimming pool, jungle gyms, camp store, or basically any other amenities. 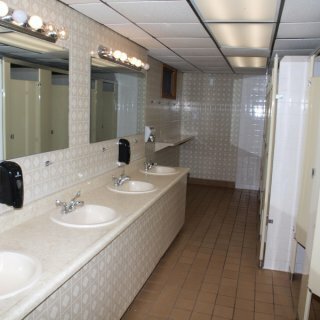 The restrooms have the basics: showers, sinks, and toilets, and are always spotless. 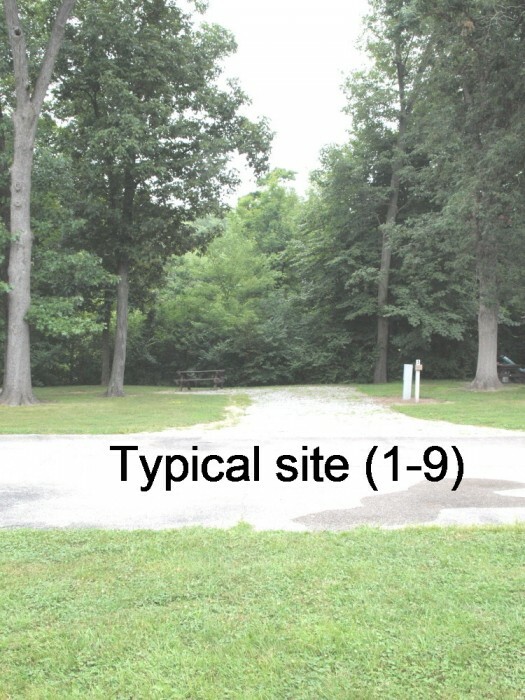 Only two of the 20 RV sites have sewer hook-ups at the site. 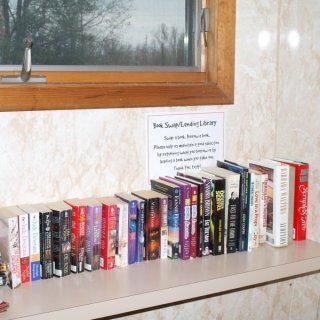 There is a dump station that is an easy pull-through, even with a long, 34-foot, travel trailer. Tent sites are not well defined, and if you get along with your neighbors, Woodlawn can accommodate a lot of tent campers. The terrain is typical Del-Mar-Va peninsula, sandy with grass. It had rained all day the day we arrived, and a few hours after the rain stopped everything was dry again. There are so many really tall shade trees that you probably won’t be able to get a satellite signal from a roof-mounted dish. If you have one on a tripod, you’ll still have trouble finding a clear view of the southern sky from most sites. The upside of that situation is the great shade all day long. The best feature of this park is the couple who run it. They are great to deal with and will go beyond the call of duty if necessary to help you out. Great folks. 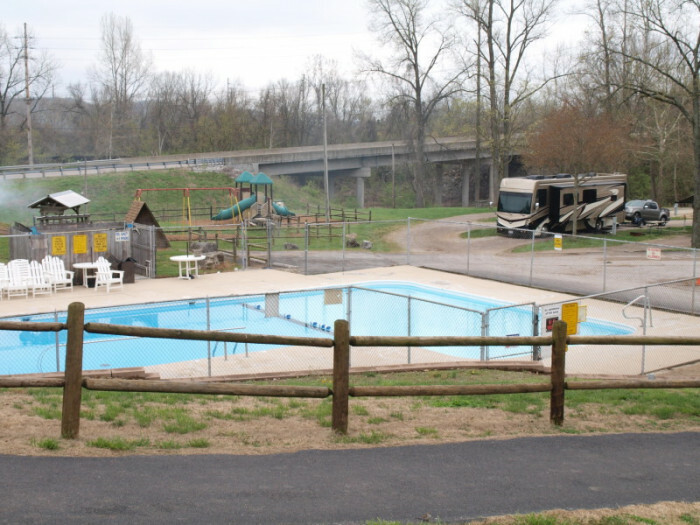 Woodlawn Campground isn’t a resort by any definition, nor is it a destination campground. It IS a very nice, lower cost place to set up while you enjoy the area. We camped at Woodlawn Campground in a Travel Trailer. The best thing about this campground is the kids’ playground. They have several wooden climbing towers, with swings, slides, and playhouses. 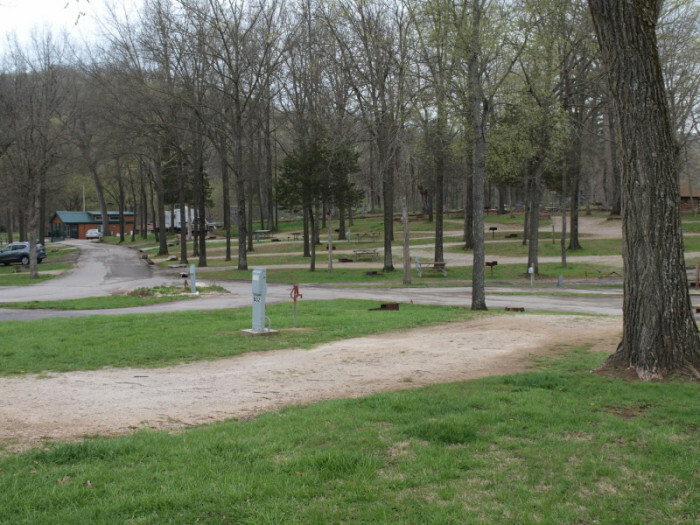 The playground is in the center of the circular drive, while RV parking spaces are around the outside of the circular drive. It’s a small park, with only 15 spaces. Our space (#2) had water, 30 amp electrical service, and a sewer dump pipe. There were a few trees nearby, but none that I noticed provided shade for any of the sites. There is a “Country Store” across the street that also serves as the office for the RV park. A tiny Methodist church next door has services on Sunday mornings. 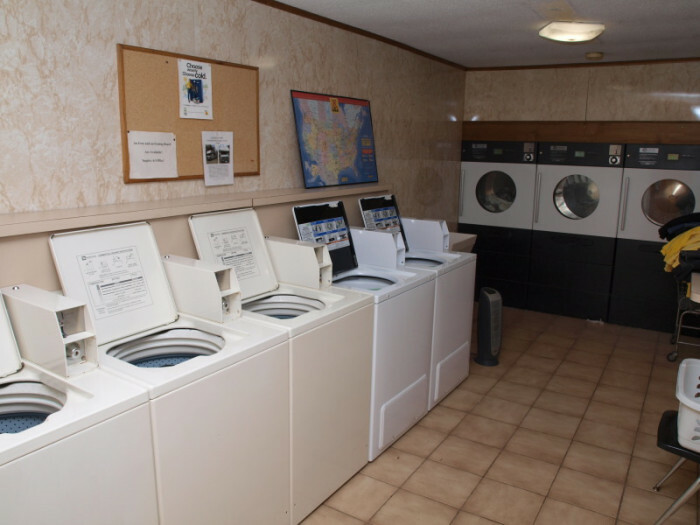 The church and the store are both an easy walk from any of the RV sites. That said, I really didn’t like the location. Their web site indicates that they are “... on the shores of Lake O’Brien...”, but the only water I saw was down a steep hill behind our site, and separated from the campground by a public parking lot. It was a river that ran nearby. Maybe some of the cabins that they rent are closer to the lake, but I don’t find a lake near the campground on Google Maps. Unless you intend to sit and watch your kids play, I didn’t find much to do at the actual campground. To get to other activities will require you to drive five miles on one of the worst access roads I have taken for many years. It is also the main road to the campground. Admittedly, we were driving to the campground on this narrow, winding road after dark (about 9:00 p.m.), and I tow a 36-foot long, 8.5-foot wide trailer. Fortunately, on a Saturday evening at that time there is limited traffic along that road. There are limited spots along this road where approaching vehicles can pass each other and even fewer where you can pull out of the way of a vehicle that is behind you. It’s a little easier during the daytime, but the road doesn’t get any wider or straighter. This road is the worst feature of the campground, and it’s not under their control. They could have helped with a few well-placed signs. At night, we didn’t see the “five miles” note on the sign that marked the turn off Cedar Lakes Road. After traveling about three miles, we finally stopped at a house where the lights were on to confirm that we hadn’t missed a turn. The homeowner told me to keep going. A few signs at selected intersections as well as an occasional sign to inform drivers of the remaining distance would have boosted my confidence a lot. The campground did not show on either of my two GPS units, but Google Maps does show it. Unfortunately I had not printed a map out prior to driving there. 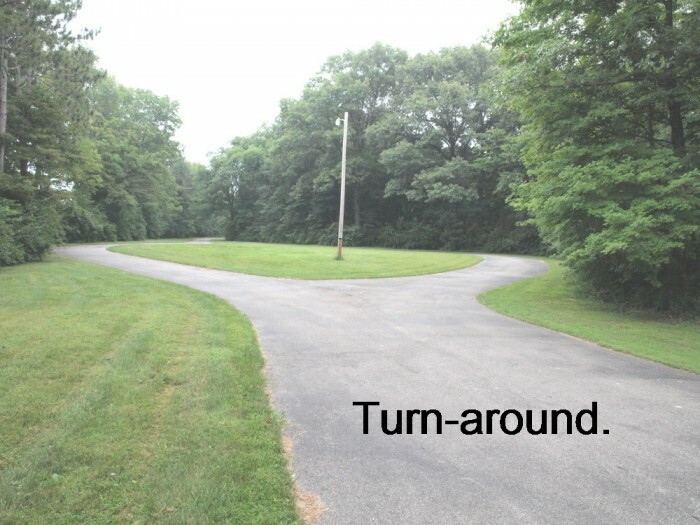 The narrow, winding, five-mile drive often involved intersections where it wasn’t clear which way to turn, especially since the name of the main road changed more than once as we traveled along it. 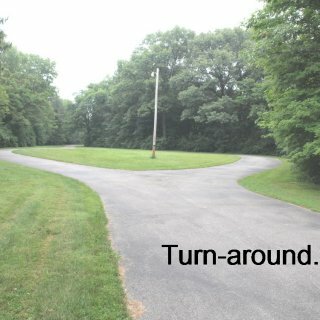 If I could have found a place to turn around, I would have gone back to look for a rest area on the Interstate (I-77) or a Wal-Mart. All we needed was a place to spend the night, we weren’t there for all the fun. I marked the location of the campground into my GPS, not because I ever intend to return, but rather so that TomTom can get the data the next time I upload map corrections. If I had it to do over again, I wouldn’t. The campground itself is acceptable, but the access to it is not. Oh, did I mention the five-mile long, winding, narrow road? 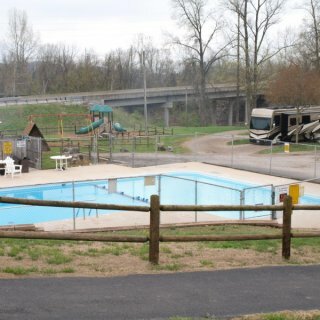 We camped at Statts Mills RV Park in a Travel Trailer.